With the quality and consistency of metal releases, especially in the death and doom metal genres 2013 has dished out to us up till now you’d think it was a missing year from the 1980’s. Jumping on the bandwagon which includes bands like Convulse and Brutality in none other than legendary Pennsylvania doomsters ‘Dream Death’ who have awoken after more than two and half decades of stupor to unleash upon us yet another weighty magniloquent assault that is a genuinely malevolent affair. To me, their debut album ‘Journey into Mystery’ is the perfect definition of an underground cult album, in the sense not many know about the album, even those who have a rather subterranean taste is music, but those who have had the pleasure of listening to it can not only laud its superior song writing and originality, but also recognize the titanic amount of influence this band may have had on the upcoming death metal and doom metal scenes. 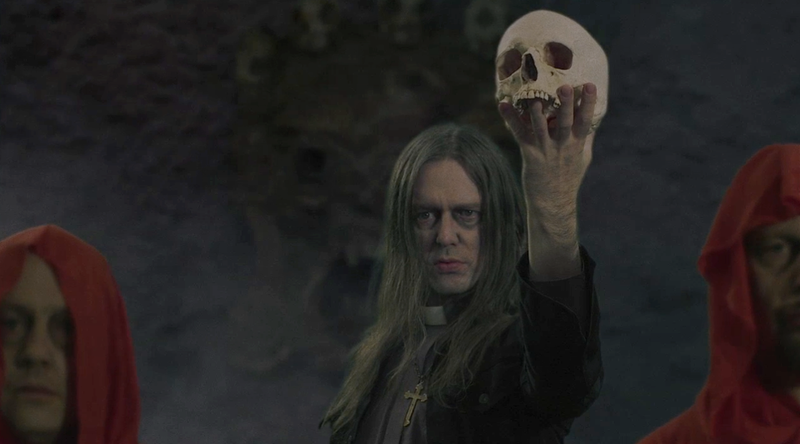 The album was a transition between the glorious aggressive violent thrashing days of the 80’s and the second wave of doom metal which gave rise to some of the most exalted and influential doom metal acts like Saint Vitus and Candlemass. If you ask a person not well versed in heavy metal, what heavy metal is, his answer will probably be something in the vein of harsh guitars and a noisy sound. Well, it is pretty much the same here and it is a wonderful experience. If asked to describe Dream Death’s music I would describe it as an assimilation of the heavy, distorted yet simple riffing style of Celtic Frost, along with the rawness and approach of bands like Brocas Helm and Cirith Ungol drenched in the compact aggression of early NWOBHM-tinged Slayer. Though influences are many, Dream Death is utterly original in nature and do not come off as a copycat band. 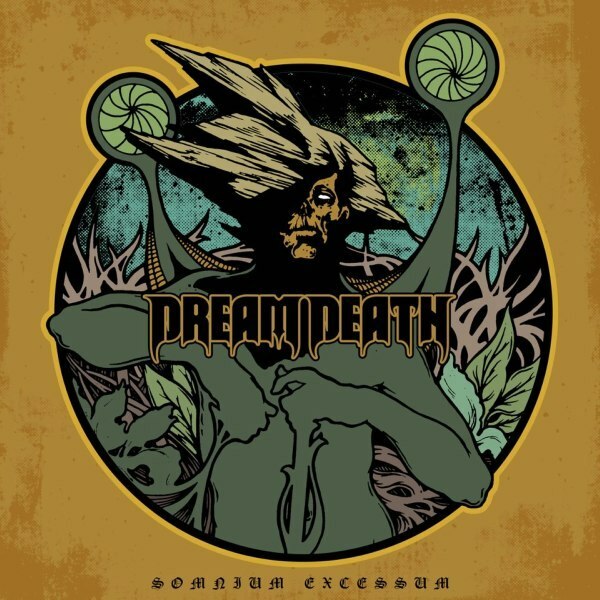 This brings us to the bands’ second full length ‘Somnium Excessum’ which is basically Latin for ‘Dream Death’. It is worth noting that the line up of this album is the classic one that created ‘Journey into Mystery’ with Richard Freund on the bass duty, Mike Smail behind the drums, Terry Weston and Brian Lawrence taking on the twin guitar assault with Brian also handling vocal duties. Musically, this album is not exactly 'Journey Into Mystery' part 2, which is great because they don't come off as a band rehashing old ideas, but instead is a progression from the aforesaid album. 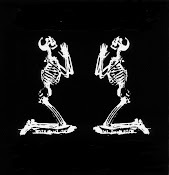 Like the debut, this album is very traditional in the sense that the listeners’ attention is not deliberately focused only towards the Brian’s powerful vocals that are a bit reminiscent of Tom Araya, or Mike Smail unparalleled sense of rhythm on the drums or Richard’s distorted bass goodness but instead focuses on all aspects equally. 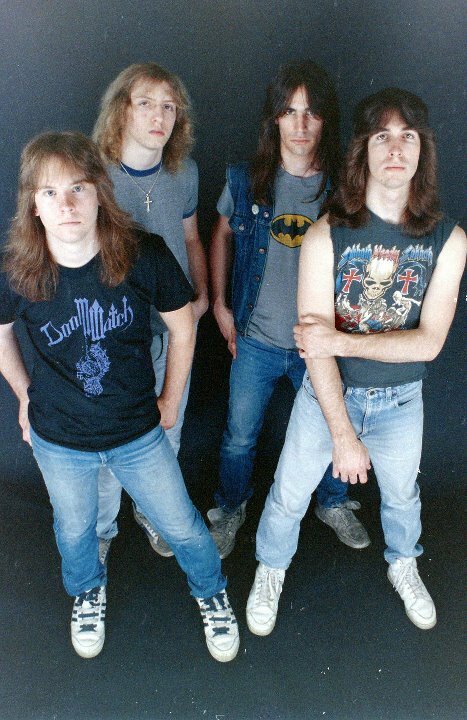 This album with its 6 tracks and 40 minutes in length moves around inside the bulky framework defined by the band on their debut, but doesn't sound as raw as the debut because of the production which has more proclivity towards modern production, and is not as infused with the violent spewing thrash elements as before. Though usually mid pace in tempo there is the opening track ‘Feast’ which is an all out rocker where the bands throws caution to the wind and displays such strength, perseverance and aggression which is an instant throwback to the quality of the debut 1987 album. The band still gyrates around the murky Celtic Frost influenced riffs as is witnessed an each track but especially on the riff centric ‘Them ‘ and the extremely catchy intro riff to ‘ Dystopian Distress Signal'. This time around a lot of importance has been given to the bass (which sadly most bands now days do not) which plods along with generous helping of distortion along the way, and huge dollops of distorted bass on tracks like ‘Them’, ‘Dystopic Distress Signal’ and ‘From Inside the Walls’. While the masculine and character drenching vocals of Brian add another dimension to the band all together the band at their crux still focus on the song writing which is dotted with numerous tempo changes and the whole album is about showcasing the bands ability to structure complete tracks by getting together an aberrant number of tempo and changes and riff progressions. In the traditional sense, the band doesn't like to talk much about what their lyrics mean and leave it up to the listener to come up with its interpretation and in the process creating an air ambiguity and the band manage to diffuse this trait in their music as well where you never know what’s coming next with its astonishing tempo and time signature changes which are delivered with precision and punk fueled execution, which for people new to the band may seem a bit discomforting but in actuality is the bands unique selling point. The outstanding track ‘You're Gonna Die up There’, where the band turns up the amplifier to eleven and drenches the sound in bass distortion unfurls such a plethora of tempo changes and great song writing that is reminiscent of “Divine in Agony” on the debut and is possibly my favorite track here. It’s not all catchy riffs and tempo changes though, Dream Death also cracks out the acoustic guitar on the short track ‘Bludgeon’ and the final track ‘From Inside the Walls’. The band has also shifted its focus towards creating an atmosphere as soon on the final track with its unconventional song structures with the dragged out intro, piano and chants on 'From Inside the Walls' and tracks like 'Them' which starts off with an eerie spoken word intro and also descends into a bass/drum interlude, a feature to be witnessed later on 'You're Gonna Die Up There'. In the annals of history, remember in 2008 when Razorback Records went nuts and releases some horror influenced acts like Crypticus, Acid Witch and Hooded Menace? Well, now you know where their influence comes from. Boisterous, devastating stuff. Full credit to the band for sounding as intense and malicious as they did before. 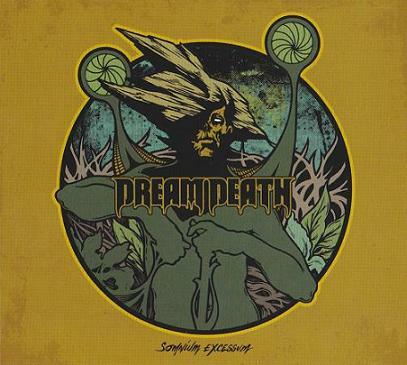 It’s not easy to retain a defining sound after 26 years but Dream Death successfully has done so without any compromise. The way the band has managed to coalesce so many riffs, solos and tempo changes into a wrecking ball of a release and still plough forward with such power and fluidity amazes me. Special mention for Mike’s kit work, an aspect that is often, ignored in this genre, but here has made a mark with his furious drum fills and oscillation between blast beats and snare attacks or abstract rhythm changes For old school lovers and music collectors, good news for you, the band intends to release this on vinyl in association with Svart records, so keep an eye out for that. This here, is top 5 of the year material, so keep it in mind.